Credit Karma is one of the most well-knownâif not the most well-knownâwebsites for checking personal credit scores. The site offers one of the simplest and quickest ways to check your credit scoreâand it’s pretty accurate, too. But it’s far from the only site. When it comes to checking your credit score before applying for your next loan or credit card, you want to make sure you have the most accurate score possible. This way, you’ll know if you can apply right away or if you need to improve your score before seeking a loan. Even though Credit Karma is fairly accurate, the best option is to hunt around and get second and third opinions as well, giving you a well-rounded view of your credit history. Of course, with so many sites advertising credit score features, which ones stack up best against Credit Karma? Keep reading to find out the best alternatives to Credit Karma! What Is Credit Karma & What Does It Offer? Credit Karma itself is free to use. In fact, we’ve named it one of our favorite free credit-checking sites. The site does not charge users a fee for signing up and using the site, nor does it require users to link a credit card. Instead, Credit Karma uses âpersonalized offersâ to make money. These offers are more-or-less targeted advertisements for various products based on your credit profile. Example ads could include credit card offers or loan refinancing options. It is not required that you accept any of these offers to keep using Credit Karma. Credit Karmaâs primary service is providing users with estimated credit scores. In terms ofÂ credit reporting bureaus, Credit Karma draws information from both Equifax and TransUnion to calculate credit scores, but it does not use the third major bureau, Experian. To tabulate your results, Credit Karma uses data from VantageScore (like most free credit-checking sites), a scoring model that can be compared to FICO scores (whatâs used by many creditors). This part of Credit Karma also gives users the option to monitor their score, dispute errors on their credit report, and simulate potential changes to their score. Credit Karma offers a tax service that lets you e-file your federal and state taxes for free. It also provides access to various financial articles, as well as loan finder tools for personal and auto loans. Additional tools include a search helper for credit cards, an unclaimed money finder, reviews, and a financial advice forum. Other Services Offered: Credit report breakdown. Run by credit card and banking company Discover, this service does not require users to be Discover customers to sign up. As one of the few free sites that pull data from Experian, Discover also gives you access to your FICO score, a rarity for a free credit-checking site. Note, however, that because FICO offers numerous types of scores, the score you see through the Discover Credit Scoreboard may differ from what a potential creditor might use. Still, this is beneficial knowledge from an educational standpoint — and makes for a great general credit monitoring tool. Other Services Offered: 24/7 credit monitoring, full credit reports, credit card offers, and credit improvement algorithms. WalletHubâs big draw is that it is the only free credit-checking site to offer daily credit checks. This is a very nifty feature because most sites only update monthly and only a few check in weekly. WalletHub’s data is derived from TransUnion via VantageScore. This service is completely free and does not require a credit card. 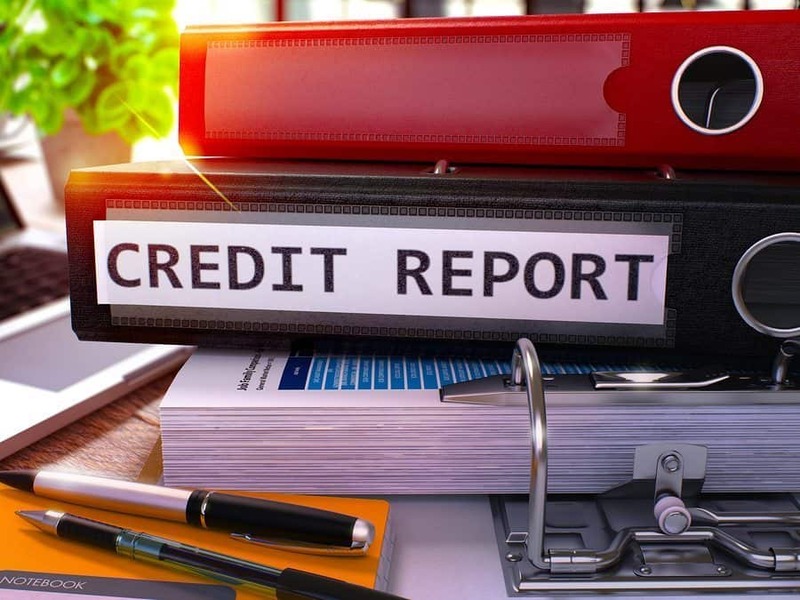 The site also offers other robust credit history tools, from full credit reports to an algorithm that identifies ways for you to improve your credit score. You’ll get access to customized credit card recommendations and savings alerts as well. Other Services Offered: Email alerts, score simulator, and credit history tracker. Even though Credit Journey comes from a credit card and banking company, itâs free to all users, not just Chase customers. You can expect the site to generate a VantageScore for you using a TransUnion report. Chase also offers a credit simulator (like Credit Karma) within their Credit Journey service. This lets you estimate how various financial actions might affect your future score. On top of this, the service provides email alerts and a basic credit history tracker. Other Services Offered: Credit monitoring, ID protection, credit report analysis, money-saving advice, credit card offers, and loan offers. For Credit Sesame, youâll get a TransUnion-based VantageScore. Like many other sites, Credit Sesame is completely free and you wonât need to hand over a credit card number. Other features you can take advantage of with Credit Sesame include analytic tools to help find specific credit cards or loans that match your credit profile. Youâll also receive a full credit report analysis as well as monthly credit monitoring. Other Services Offered: Credit monitoring, personalized credit report card, credit repair service, and loan offers. Credit.com is one of the few free sites to generate your score based on a report from Experian. The score they calculate is tabulated via VantageScore. Your Experian VantageScore is always free with Credit.com, but if you want more details, the site offers a paid option to buy your FICO score, alongside reports from all three major bureaus. These additional features are offered in conjunction with Experianâs CreditWorks service. It costs $1 for a seven-day trial and then youâll need to pay $21.95 per month afterward. Other Services Offered: Identity theft protection, 24/7 credit monitoring, credit score alerts, credit score tracker, credit dispute assistance, identity fraud support, and a toll-free credit hotline. If youâre looking for one place to monitor all three major bureaus on a daily basis, PrivacyGuard is a great option. Unfortunately, they only feature a paid service that goes for $9.99 a month after a $1 two-week long trial. Itâs worth noting that PrivacyGuard does not use VantageScore or FICO for their credit score calculations. Instead, this site uses CreditXpert as its primary credit score provider. Beyond simply accessing your credit score, you can also take advantage of identity theft protection and credit dispute assistance if you notice an error on one of your credit reports. Should I Pay For Credit Monitoring? In most cases, paid options are unnecessary. While you wonât actually see what creditors might see when it comes to your credit score, free sites will still give you a reasonably accurate ballpark figure. On top of this, getting your score checked at free sites should not negatively impact your score. This means you can compare scores across a range of sites for no cost. Doing so will enable you to get data from all three major credit bureaus while also finding out scores from both VantageScore and FICO. However, if you want to take advantage of other fraud management tools, a paid service may be the way to go. Free sites will generally provide rudimentary features like a simple credit score, while paid sites (such as PrivateGuard) provide a more robust set of fraud protection options. There is another way to get your credit report for free. By U.S. law, Equifax, Experian, and TransUnion are required to share a free copy of your credit report every 12 months. If you request a copy of your credit report, youâll get the full report, not the limited version youâd get from a credit-checking site. To request a free credit report, visit AnnualCreditReport.com. Note that these reports do not include actual credit scores. Theyâll simply show your credit history, allowing you to check for potential errors. To access credit scores, youâll need to sign up for either a free or paid website that pulls scores for you. Ultimately, credit-checking sites can only give you estimates of what creditors might be looking at when it comes to your credit score. While you might get fairly accurate estimates, itâs not always possible to see exactly what a potential credit card issuer or loan provider sees after you fill out an application. As such, itâs rarely a bad idea to sign up for multiple credit-checking sites. There are numerous free options available and checking your history shouldnât actually harm your score. By looking at different sites, you can access data from the three major bureaus and scores from both FICO and VantageScore. Getting this holistic view of your credit history will enable you to apply for your next loan or credit card with confidence. The post The Best Alternatives To Credit Karma appeared first on Merchant Maverick. Next PostNext How Much Does Business Insurance Cost?